Microsoft has good news for most Sidekick users: the company says it has recovered most of the data for T-Mobile Sidekick users who saw personal information accidentally wiped from their devices earlier this week. Redmond also provided a few more details about what went wrong with the servers that stored the cloud-based data, which includes contact lists, notes, tasks, calendar appointments, photographs and gaming high scores. A number of Sidekick users complained of data loss last Saturday after a server crash at Microsoft Subsidiary Danger. At the time, Microsoft believed the data would be unrecoverable; however, by Monday, the company changed its tune saying some data recovery was possible. Now, it looks like only a small number of Sidekick users will suffer permanent data loss. "We are pleased to report that we have recovered most, if not all, customer data for those Sidekick customers whose data was affected by the recent outage," Microsoft corporate vice president Roz Ho said in a statement. "We now believe that data loss affected a minority of Sidekick users." Ho says Microsoft engineers will be restoring customer data as soon as possible, starting with contact lists, and then moving on to other personal information. Before Microsoft begins this process, the company must first check the data to make sure it is stable, and finalize its data restoration plan. Ho said Microsoft would be working around the clock until all data is restored. 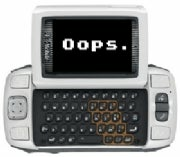 If you are one of the affected Sidekick users, Microsoft urges you to keep checking T-Mobile's Sidekick forums for further updates about the data-loss issue, and to see if you need to take any action to recover your data. Ho said the data loss problem has been traced to a "system failure that created data loss in the core database and the back-up." Microsoft has now rebuilt its Sidekick system component by component, and Ho says the company has made significant changes to ensure greater stability and an improved back-up process. Now that most Sidekick data has been recovered, things may get a little easier for T-Mobile and Microsoft. With customer outrage mounting, at least two lawsuits were filed on Wednesday, alleging negligence and false claims against both companies, according to CNET.